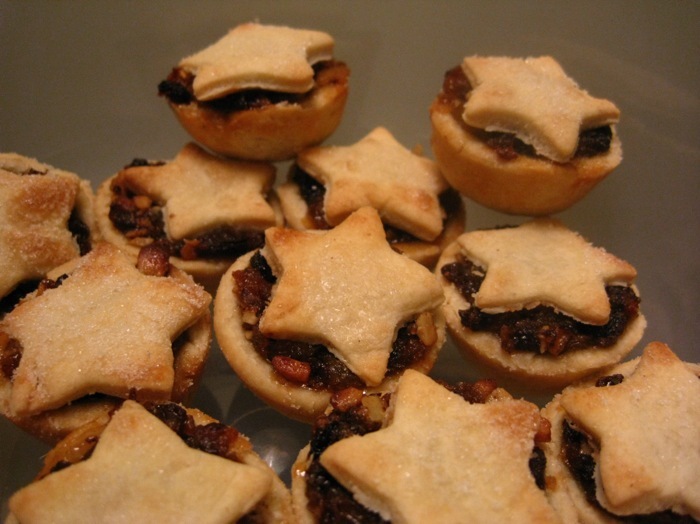 Although I haven't had mincemeat tarts since a friend made them for us a long long time ago, the taste of this British holiday dessert has haunted me. 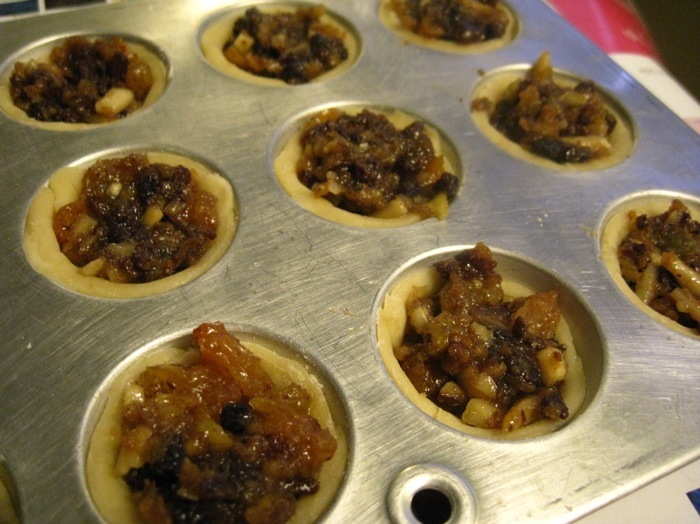 Classic recipes call for suet and hours' worth of prep, but I found this filling at King Arthur's Flour that can be used immediately, although it does benefit from mellowing in the fridge. Oh, and no meat grease needed. 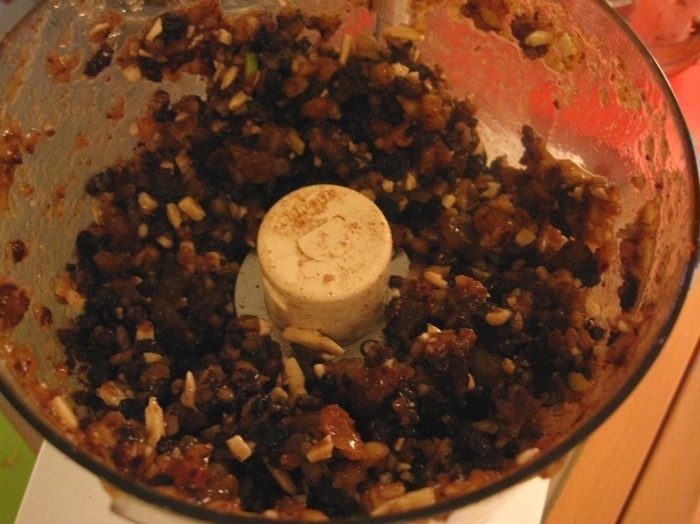 The filling: regular and golden raisins, currants, apples, and almonds all chopped up fine in a food processor and mixed with sugar and brandy. This filling may just look like a big brown mush ball, but the taste is tangy and light. 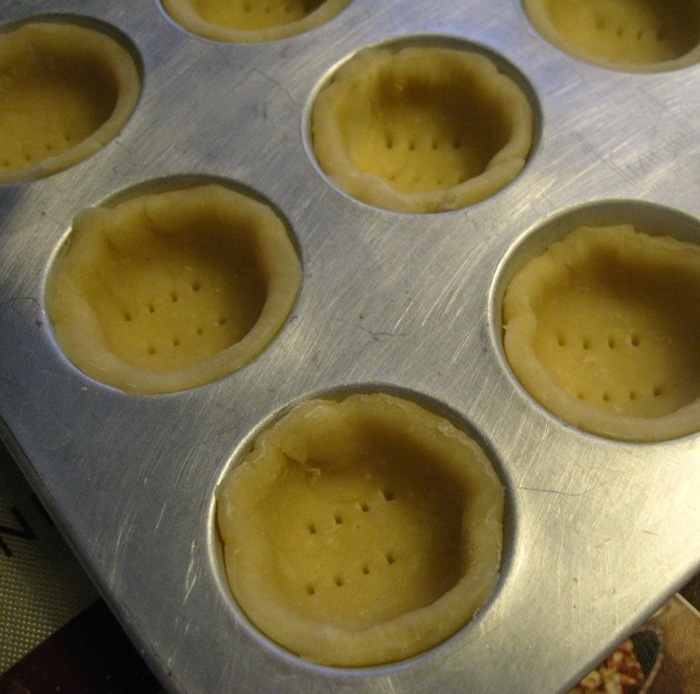 The tart dough is a shortcrust pastry. Tasters loved the crust, but I'd like to experiment with a dough that's more rich or has nuts. 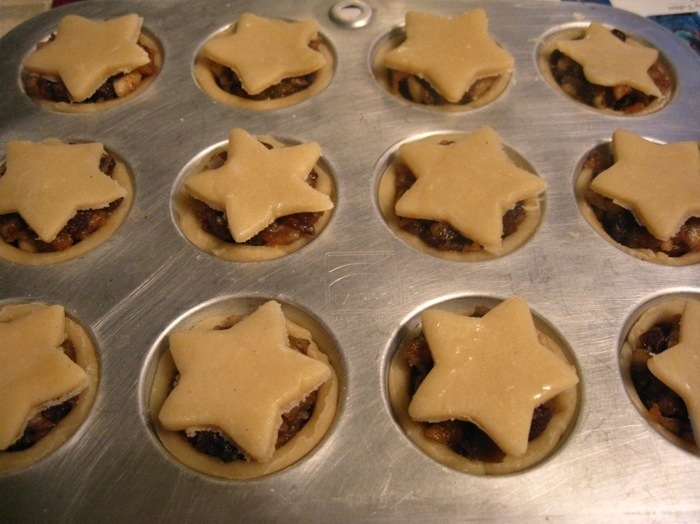 And the finishing touches: stars cut out with a cookie cutter and sprinkled with sugar. Find the full recipe at King Arthur's Flour.